Painful Past or Freedom Filled Future? Do Your Emotions Rule Your Life? Do Past Wounds Shape the Way You View God? Do the Storms of Life Threaten Your Peace? If so, then isn't it time to turn your tragedies into triumphs? One of the most beautiful mysteries of the Christian faith is that of Christ and His Bride. Although the Bible tells this story, you were also designed to live this story, playing a starring role in this divine drama. 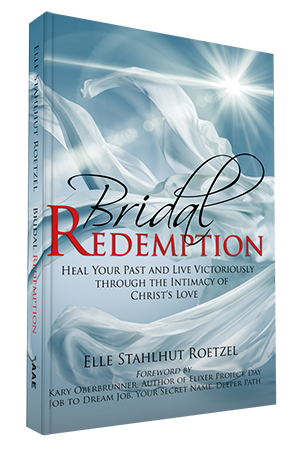 Through author Elle Stahlhut Roetzel's journey of healing from her painful past, you will receive strength to find Jesus' redeeming love for your future. In these pages, experience the intimacy of the Bridal Chamber. Elle opens her heart and shares some of her most personal heartaches in the hope that you will realize the love of the One who has given all for you. The keys revealed in this book are truths that will replace the lies you believe about your circumstances. You don't have to stay stuck any longer. You were called to step forward into victory. This book includes excerpts from her journaling time at Jesus' feet along with application questions to encourage you as you walk through the healing of your past into a freedom-filled future with Christ, your Bridegroom. Elle Stahlhut Roetzel writes out of her passion for the One who has carried her through the storms of this life. As a certified coach, speaker, and mentor, she is passionate to see others set free by the healing love of Jesus Christ and living victoriously with the vision of who God has called them to be. 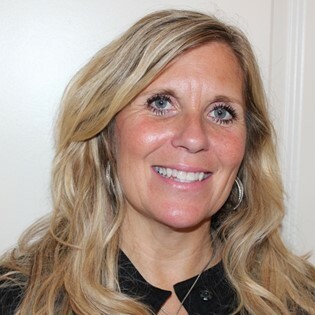 Elle lives with her husband and children in Eagan, Minnesota.